ICICI Pockets users can also apply for Physical Pockets card online and use it for offline payment. 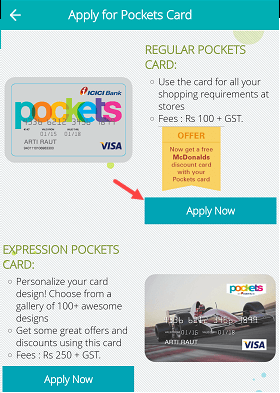 Pockets physical card can be used at any merchant outlet that accepts VISA cards. A 4-digit PIN is not required for the transaction. 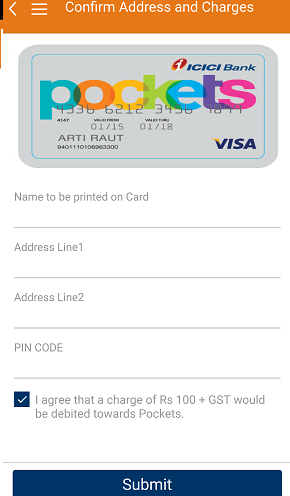 Pockets wallet offers virtual card which you can use for online payments by entering your card number, expiry date, and CVV. But if you want to use your card for offline payment then you can apply for the physical card. The charges for Pockets physical card are Rs.100+GST. There is no annual fee applicable for the physical card. 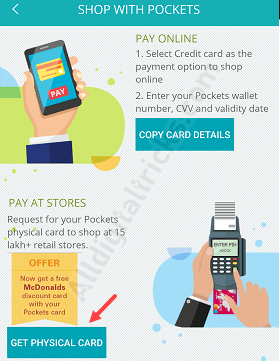 If you are ICICI Pockets user and interested in Physical Pockets card then follow below two methods and apply for Pockets physical card online. Login to your Pockets wallet App and tap on Cards. Now choose Get Physical Card. Next screen, you can choose Regular pockets card or expression personalized card. Select any and tap on Apply now. And finally, type your name which will be printed on your card and enter your address. Now submit your request. If you are existing ICICI customer and using Pockets wallet then you can also login to iMobile Application and apply Pockets physical card. 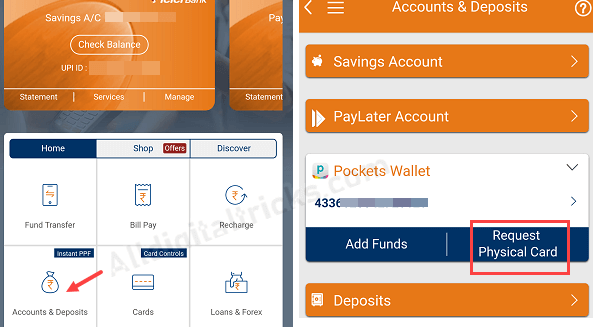 Open Accounts & Deposit section and tap on Pockets wallet. Tap on Request Physical Card. Next screen, enter your name and address and submit your request. After applying Pockets physical card Rs.100+GST card fee automatically Debited from your pockets wallet. Make sure you have enough balance in your wallet account before apply. Q.1: Can I use Pockets Physical card for ATM withdrawal? No. you can use your card only at the retail outlet. Q.2: Do I need to pay the annual fee? No. 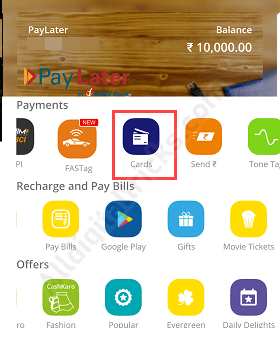 Only card issue charge debit from your wallet. there is no annual fee applicable for this card.